Strolling the stalls at the Art•B•Que show in Avondale Estates east of the city. 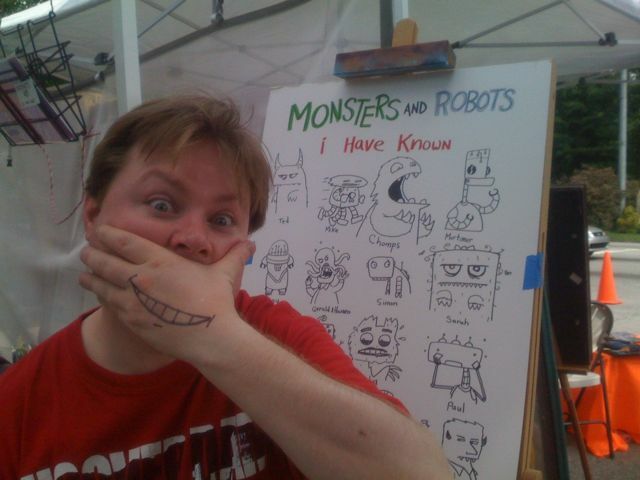 Immediately found Jason drawing Monsters And Robots I Have Known. See more of Jason’s work at his Red Rocket Farm website. Very fun stuff. Update: corrected link to Jason’s website.